In 1974, John Bingham, the 7th Earl of Lucan, vanished without a trace after allegedly murdering his children's nanny and attacking his wife. Two programs explore one of Britain's most notorious unsolved crimes. Through flashbacks, Lucan dramatizes his life, aristocratic circle, and disappearance. The Trial of Lord Lucan examines the evidence, clues, and motive in a courtroom dramatization based on research and forensic detail. With Rory Kinnear (Skyfall), Catherine McCormack (Braveheart), and Michael Gambon (Harry Potter). Approx. 214 minutes, 2 DVDs, SDH. While researching a book about London's posh gambling scene of the 1960s and '70s, writer John Pearson becomes transfixed by the story of the missing-and maybe murderous-John Bingham, 7th Earl of Lucan. 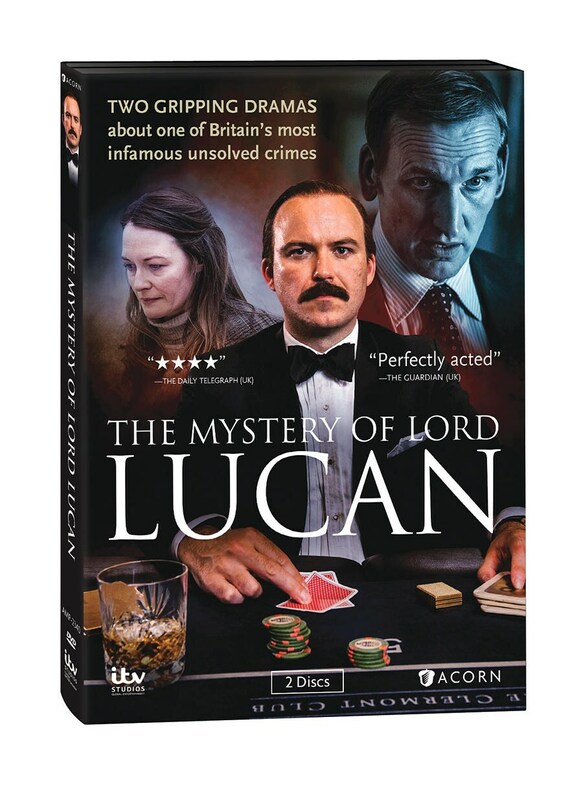 Pearson delves into Lucan's world as the high-born lord struggles to keep up appearances amid staggering gambling losses. The battered body of the nanny lies in the kitchen, and Lucan has vanished. As a national manhunt begins, the lord's aristocratic circle closes ranks. 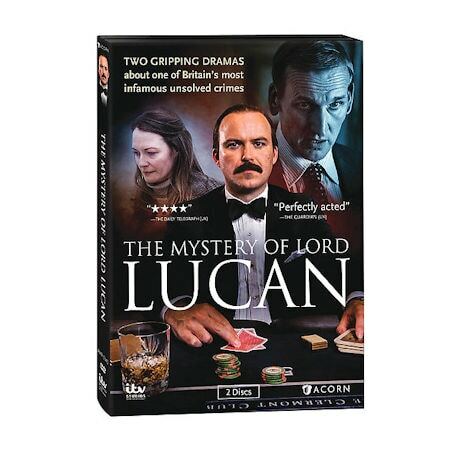 With his wife offering damning evidence, Lucan is tried in absentia. In this fictitious reimagining, one of the most notorious figures in recent British history stands trial for murder. Prosecutors present the evidence, witnesses attest to events, and Lucan has the chance to defend himself at last. In the end, a jury of real British citizens gives a verdict on the infamous crime.